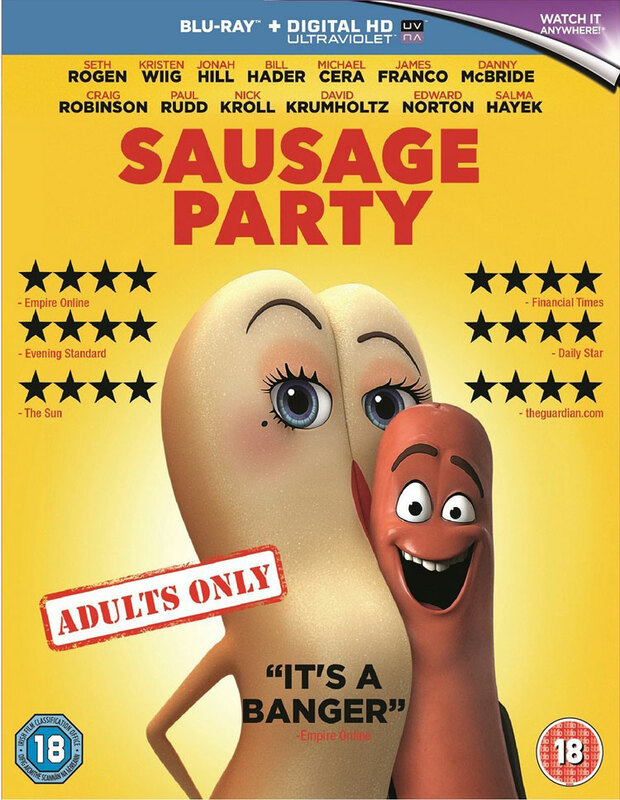 Ever since it was first announced, Sausage Party sounded like a completely insane movie, and now it’s here, that judgement has been proven correct. It may also one of the most in-your-face Hollywood releases ever on gay/bisexual front – even if that LGB content does involve animated food. 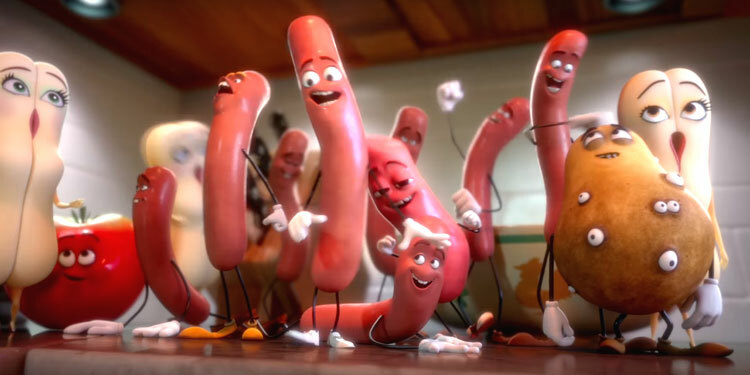 Early, work-in-progress screening of Seth Rogen and Evan Goldberg’s R-rated CGI animated movie, Sausage Party, got pretty good buzz, with many suggesting it’s a smart and funny movie, which takes a sideways look at belief and religion. Now, to tie in with it Comic-Con panel, a new Red Band trailer has dropped. 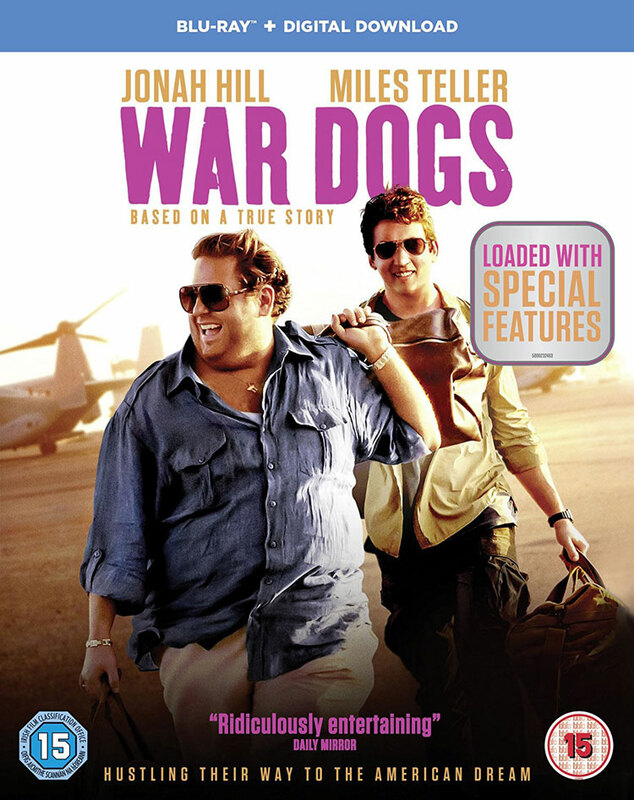 Jonah Hill & Miles Teller aren’t the first people you’d think of as military contractors, and neither are the characters they play in War Dogs. The first trailer for the based-on-a-true-story movie has now arrived. 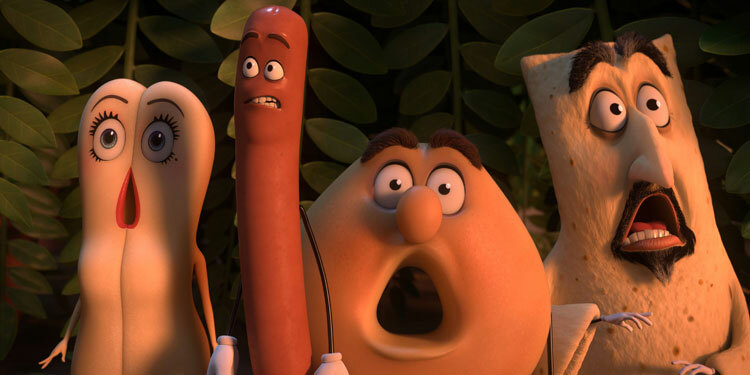 New Sausage Party Trailer – It’s dangerous being animated food for Seth Rogen & co.
Sausage Party has been described as Toy Story for grown-up – a CGI animated comedy about food that comes to life when no one is looking. However while toys have to worry about their owner leaving them behind as they grow up, food has to worry about being eaten. Yesterday at SXSW Seth Rogen presented a work-in-progress screening on his R-rated, CG animated movie Sausage Party. It got pretty good buzz, even if it wasn’t finished, with many suggesting it’s a smart and funny movie, which takes a sideways look at belief and religion. Now the first trailer has dropped, which you can watch below. When Channing Tatum came up with the idea for a crossover between 21 Jump Street and Men In Black, it seemed like the sort of crazy thing where a studio would do some work on it, just to keep the star happy. However, it appears Sony is taking it very seriously, as Variety reports that Muppets and Flight On The Conchords director James Bobin is in talks to helm the movie. While Channing Tatum and Jonah Hill are both expected to be involved, don’t expect to see Tommy Lee Jones or Will Smith, as the makers are apparently looking for ‘younger, fresher faces’ to put on the black suits and help keep the fact aliens are living amongst us a secret. There’s no other info than that, and we’ll have to wait and see how Schmidt and Jenko get caught up in alien shenanigans, and whether the movie will see them going undercover to deal with some sort of sci-fi nasty. Expect to hear more info soo though, as Sony is hoping to shoot the movie this summer. It appears that once they’ve tied down Bobin, they’ll be looking for actors to play the new Men (and possibly Women) in Black. Who knows, perhaps after the lacklustre Men In Black 3, this could be a good way to revive the franchise. James Franco’s plans have certainly changed in the past few days, as rather than running around promoting the release of The Interview, the cancellation of the film’s release means he’s lying relatively low instead. However just so we don’t forget about him, the trailer for True Story has arrived, a film that hopefully won’t have hackers threatening to commit terrorist atrocities.